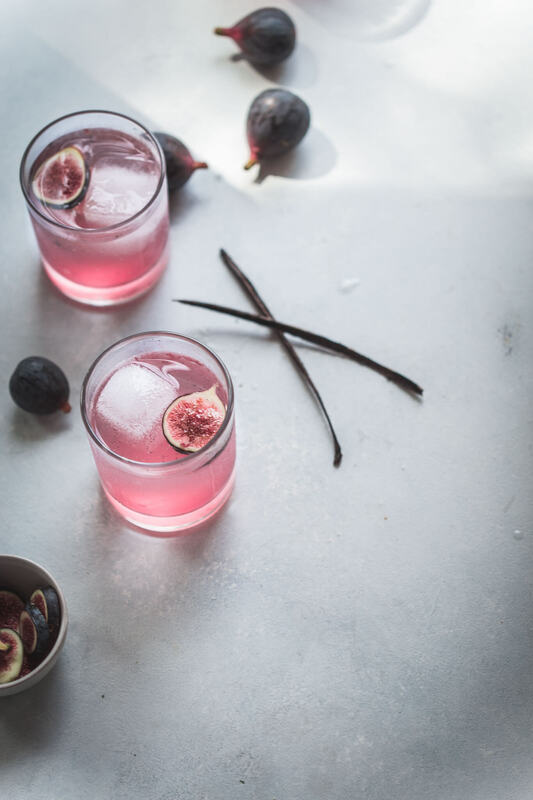 This Vanilla Bean & Fig Cocktail is made with vodka and a vanilla bean & fig simple syrup. 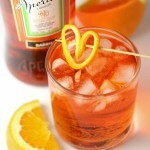 Combining it with soda water gives a nice fizz and ties this beautiful drink together. I’ve got a beauty of a cocktail for you today guys. 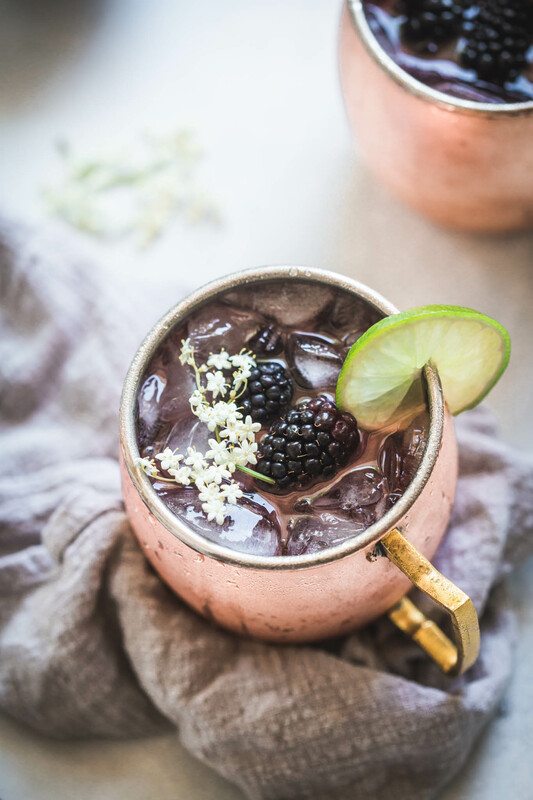 This Vanilla Bean & Fig Cocktail is the perfect cozy cocktail for fall. 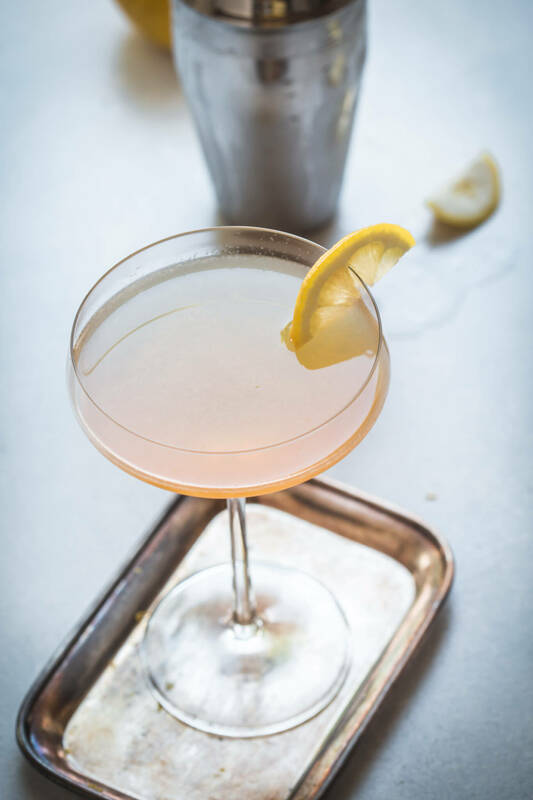 It’s got flecks of vanilla bean, a simple syrup made with yummy and sweet figs, and a splash of soda water to give it a bit of fizz. To sum it up – it’s perfection in a glass. 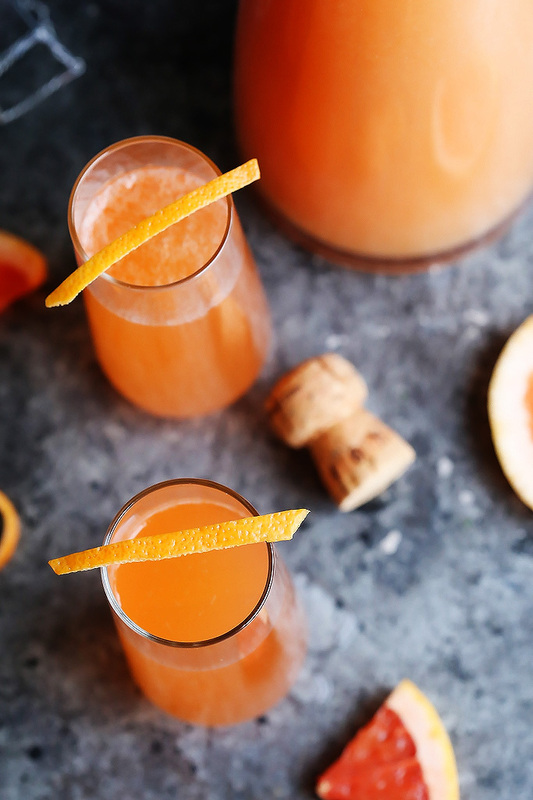 This cocktail is super easy to make and perfect if you’re hosting a party as all of the work can be done ahead of time. The work is in making the simple syrup. It’s actually super “simple” but you need to account in the time for the syrup to cool before adding it to your cocktails. Simple syrup is a solution of sugar in water. You heat the water and sugar together, so that the sugar dissolves and isn’t grainy. This way the mixture will combine nicely into your cocktail, and the sugar won’t just fall to the bottom of your glass. To make simple syrup all you need to do is heat equal parts water and sugar in a small saucepan. Bring it to a boil over medium-high heat and then let it simmer for about 5 minutes until the mixture becomes clear and the sugar has dissolved. 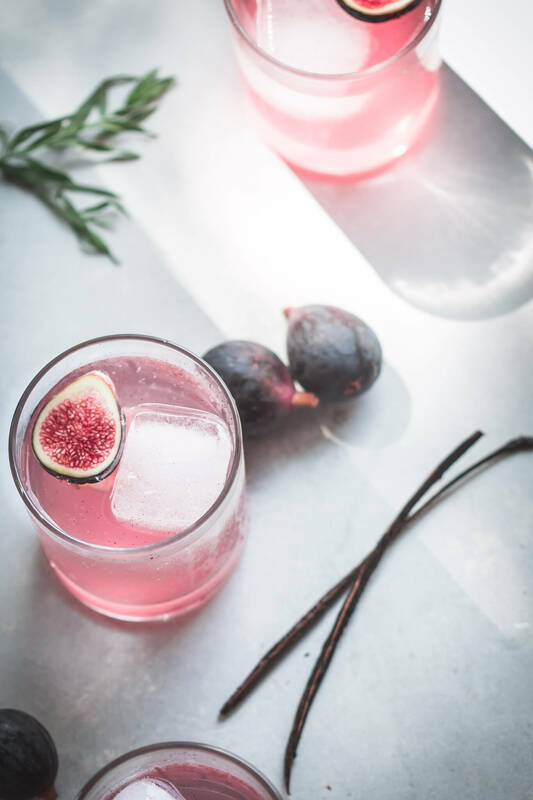 In this fig cocktail recipe, I infused my simple syrup with vanilla and fig. 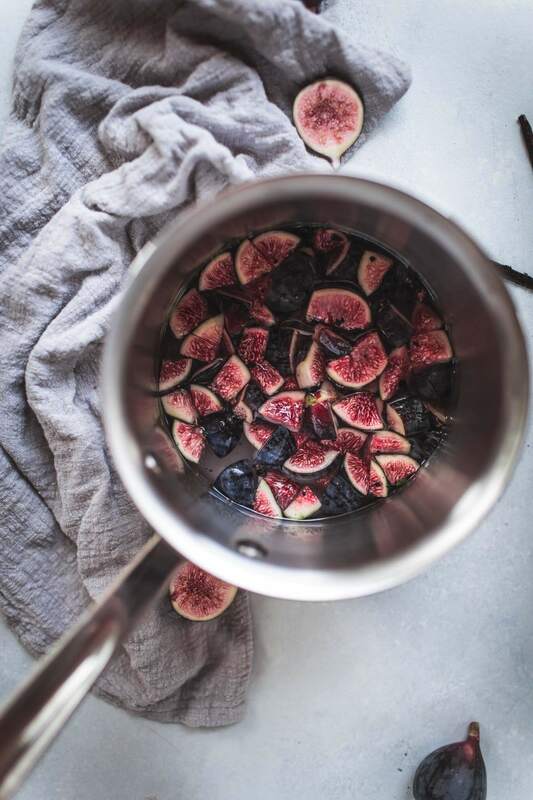 All you need to do is add some chopped up figs and a vanilla bean to the sugar-water mixture. 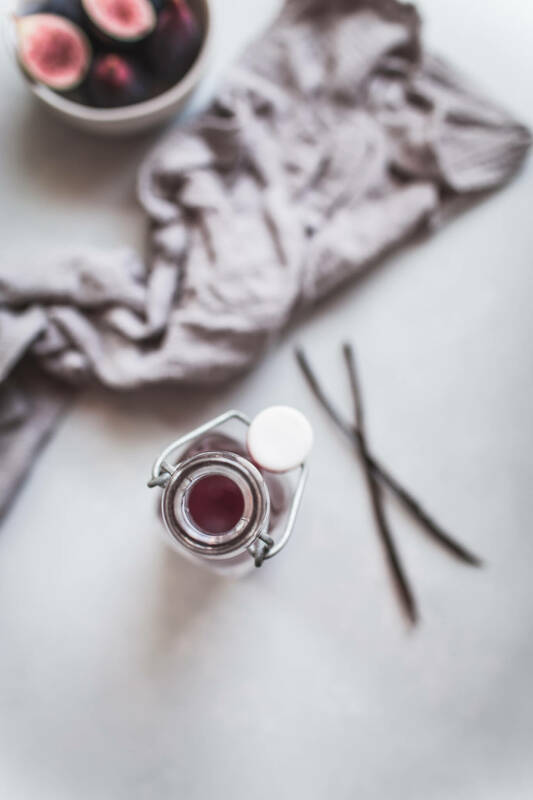 All those yummy flavors will infuse into the syrup and then we’ll strain it out at the end, leaving us with the most gorgeous, pink-colored fig syrup. How Do You Store Simple Syrup? Simple syrup will keep in the refrigerator for up to one week. Store it in a tightly sealed container. This recipe will make enough fig & vanilla bean simple syrup for 10-12 cocktails. If you have extra on your hands, it’s also amazing drizzled over waffles, stirred into iced tea, or combined with prosecco for a festive brunch cocktail. 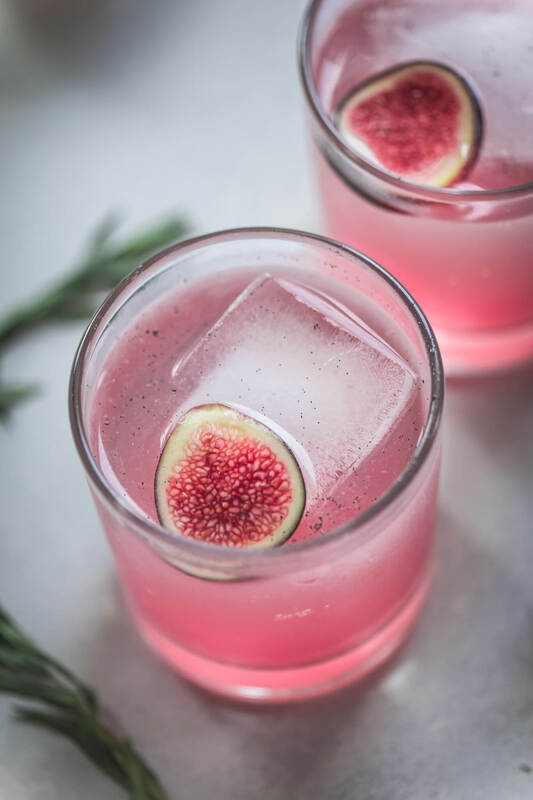 If you loved this Vanilla Bean & Fig Cocktail I would appreciate it so much if you would give this recipe a star review! 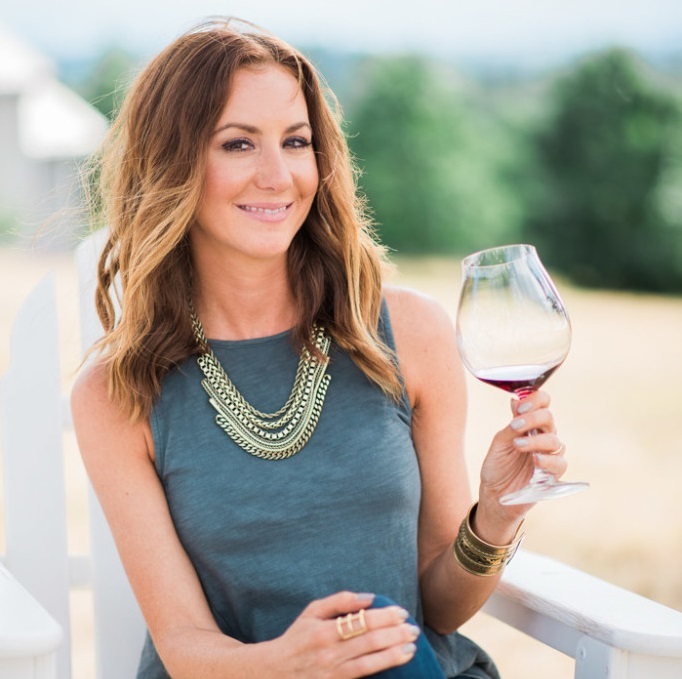 Also, be sure to snap a picture of your finished cocktail and share it with me on Instagram using the hashtag #platingsandpairings and tagging me @platingsandpairings. Add all the ingredients to a small saucepan, and bring to a boil over medium-high heat. Reduce heat to medium-low. Cook, stirring frequently, for about 5-7 minutes or until figs break down. Let the mixture sit while it cools (about 30 minutes), then strain using a fine mesh strainer. 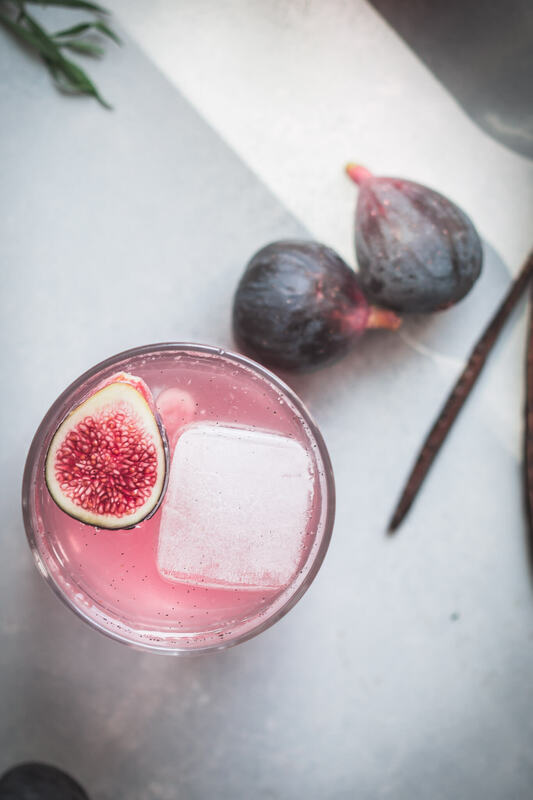 Add fig vodka, simple syrup and lemon juice to a cocktail shaker filled with ice. Shake vigorously and then pour into ice filled cocktail glasses. Top with soda water. Garnish with sliced figs and thyme sprigs and serve immediately. This recipe will make enough simple syrup for 10-12 cocktails. 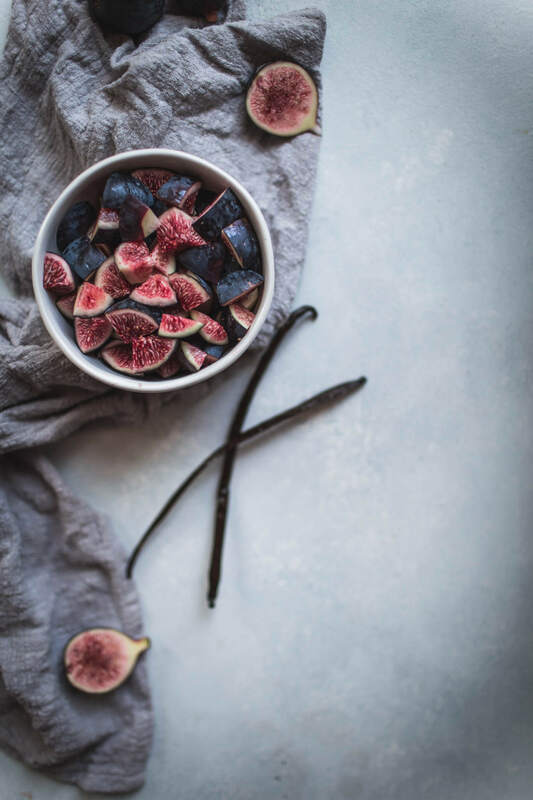 Store any leftover fig syrup in a tightly sealed container in the refrigerator for up to one week. First of all, it’s sooo pretty! 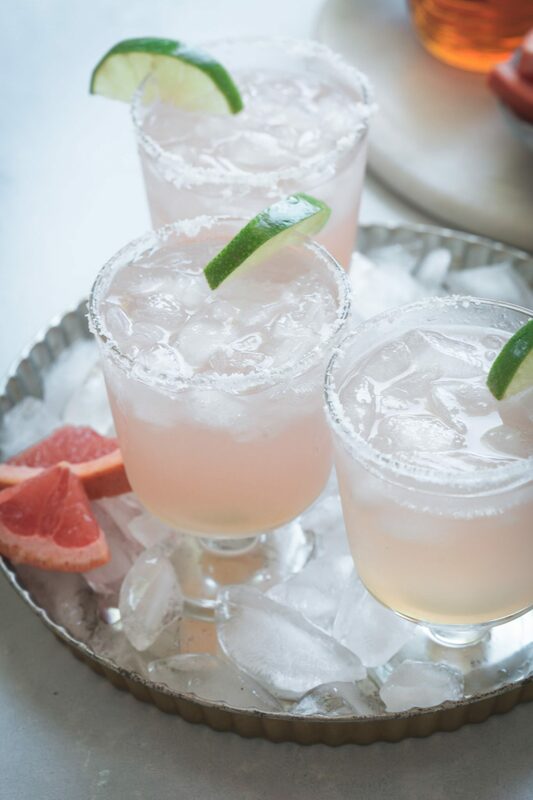 I’m pregnant so I can’t enjoy a real cocktail at the moment, but I bet this would still be delicious even if I omitted the vodka! Oh wow this is lovely!! Such a nice color and these flavors are perfect for fall. I’m making this ASAP! i freaking LOVE everything about this!!! What a gorgeous cocktail and that colour is just stunning! I love that you can see the flecks of vanilla bean too, I have to give this a try! 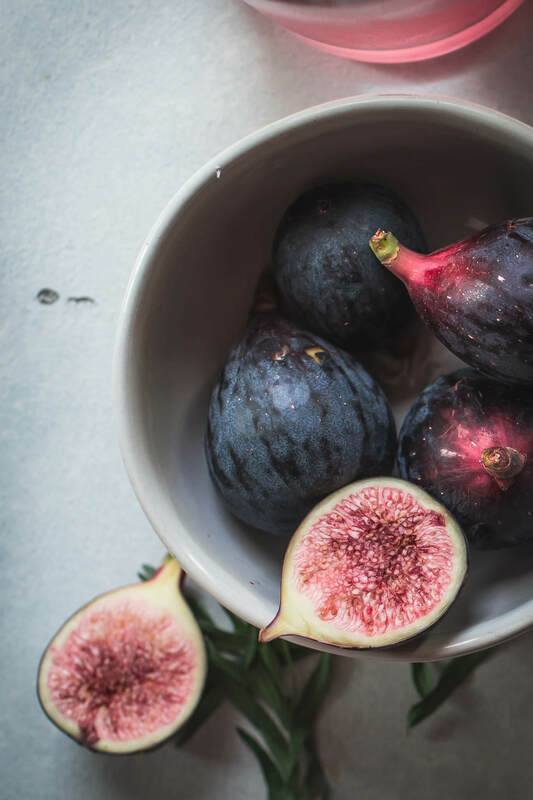 Hoping to pick up some figs on Sauvie Island this weekend! I usually stay away from flavored and infused liquors, but using whole ingredients like vanilla bean sounds like it’d be delicious—and the opposite of artificial tasting.